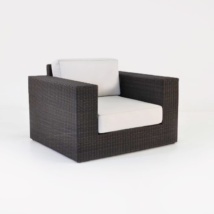 Make the most of your outdoor patio with the Austin wicker right armchair. 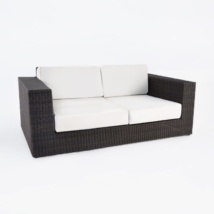 This piece is part of our popular Austin outdoor sectional. To create the sectional that suits your outdoor space, you can choose from the left or right armchair, the center chair or the corner unit. There are many configurations available. 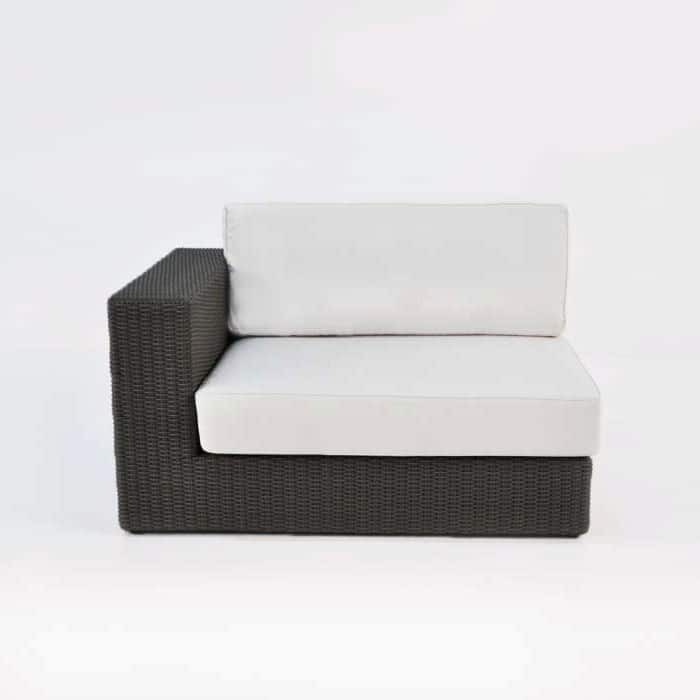 W46" x D36" x H28"
To get started on creating your outdoor seating space with the right arm Austin chair you should decide on whether you would like an l-shaped sofa, elongated sofa or u-shaped sofa. 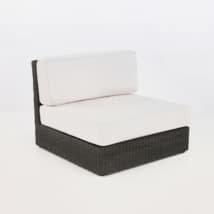 The Austin center chair allows you to make the unit large or small depending how many seats you would like. And you can always add any of the Austin fixed pieces to help anchor the sectional and give even more places to sit. 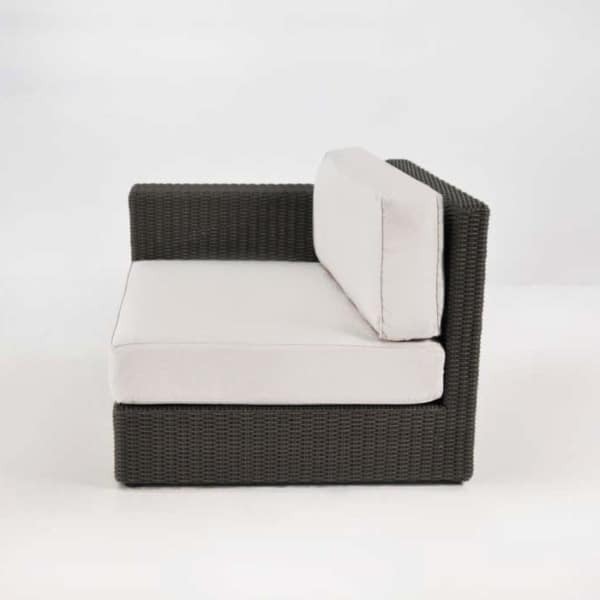 The Austin outdoor wicker right armchair is a contemporary chair with a large deep seat, wide arms and sleek shape. 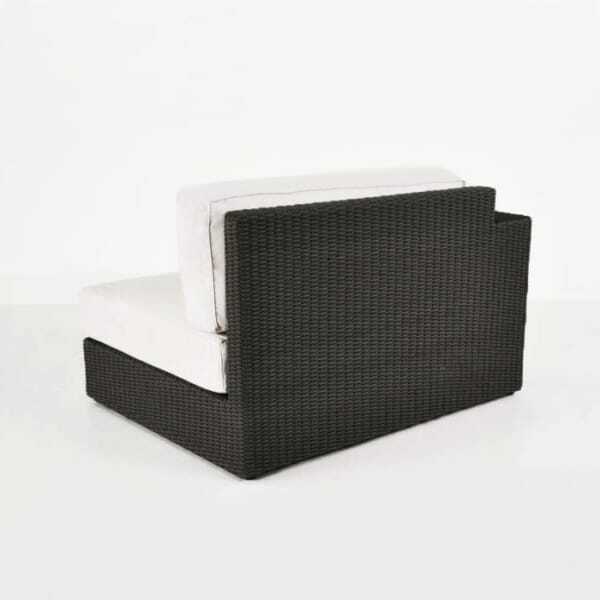 It comes with two Sunbrella® cushions that give the right amount of comfort and support. 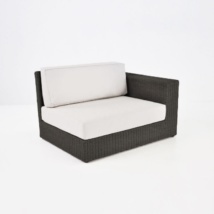 We only use the highest quality materials for our outdoor furniture. 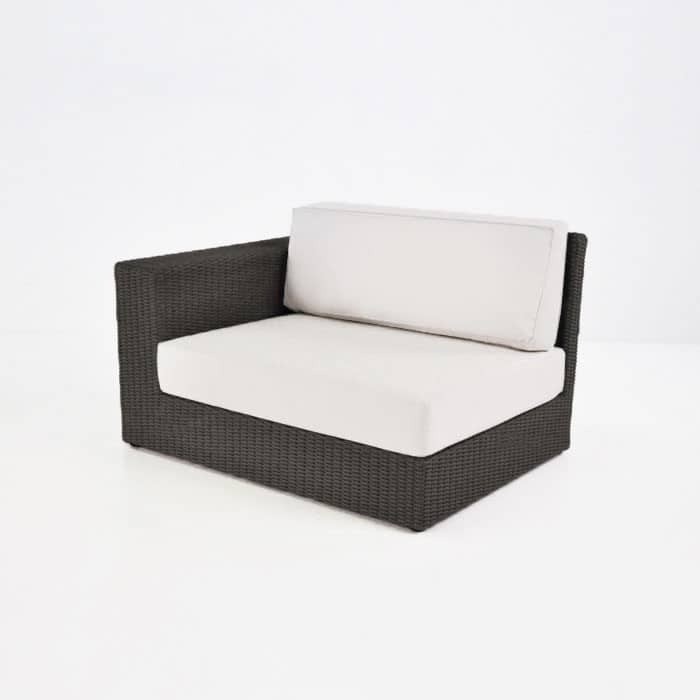 The Austin wicker chair is made with Viro® outdoor wicker and a powder-coated aluminum frame. 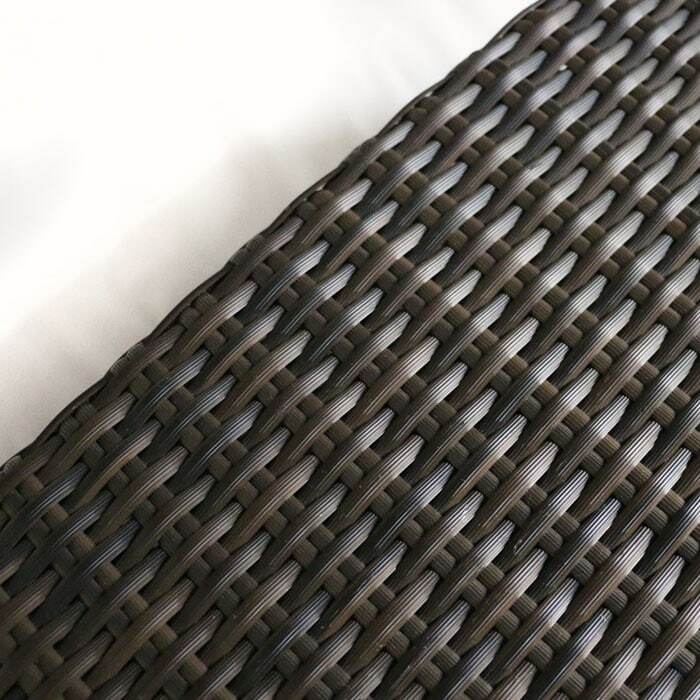 Viro® wicker is an amazing fiber that is UV resistant, environmentally friendly and smooth to the touch. The aluminum frame is not only strong and durable but also lightweight. It is important to be able to move and rearrange your outdoor space whenever you like. 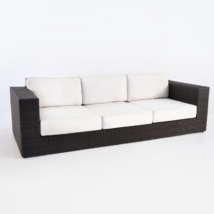 Teak Warehouse is committed to offering you the most high-end outdoor furniture at affordable prices. We are wholesales and sell directly to the public so that you don’t have to pay retail prices. Call us today at 800.343.7707 or visit our impressive showroom, we look forward to meeting you.